Home » Why Choose Homecare? With a range of opportunities in the franchise sector available for anyone looking to launch a business, why is homecare so appealing? The UK care industry is currently worth nearly £8 billion with over 8,500 homecare providers available. 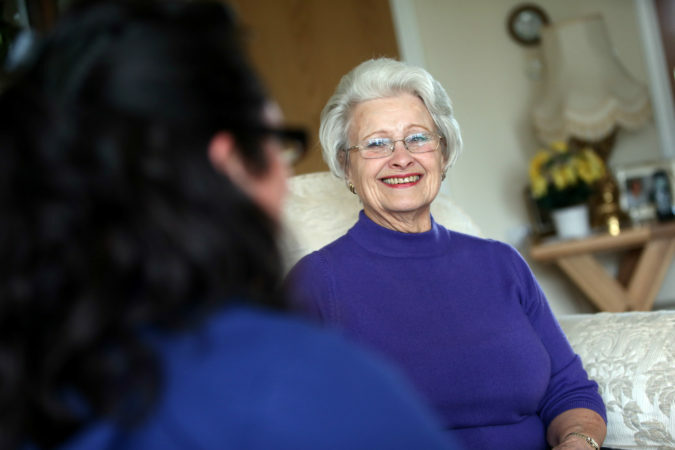 Homecare is one of the largest growing sectors in the UK, with around 10 million individuals aged over 65 looking for care and support to remain independent at home. Supported living is a movement here to stay, backed by many political parties, local authorities and voluntary charities. Growing older will inevitably increase fragility, so everyone will need care and support at some point in their lives and many people are choosing to remain living in the comfort of their own home, but a busy work life means more families are unable to provide the daily support their loved ones need, and having a trusted care provider available is essential. With the advantages of modern medicine, long-term health conditions can easily be taken care of within the home with the right support. Compared to moving into a care or nursing home, homecare is the most cost choice, allowing clients and/or their families to choose when care is needed. The need for homecare services and the rising number of people aged 65+ makes the homecare industry a fantastic opportunity for businesses. There are a number of well-known brands within the franchise sector, and Heritage Healthcare is one of them. Business owners have the chance to launch their own homecare service with guidance from an established support team. Franchisees don’t need a medical background to launch the business, but having a compassionate and caring outlook helps to understand and create bespoke care packages. With employees, specialised training and background checking is essential to become homecare assistants. As part of the Heritage Healthcare franchise package, we supply the Care Certificate eLearning Training for staff to kick start their care careers. Being able to provide a much-needed care service to the local community is a rewarding career choice. Heritage Healthcare Franchising has business opportunities in many territories across the UK. To find out how you can join our franchise network and launch your homecare service, contact the support team on 01325 370 707 or email michelle@heritagehealthcare.co.uk.